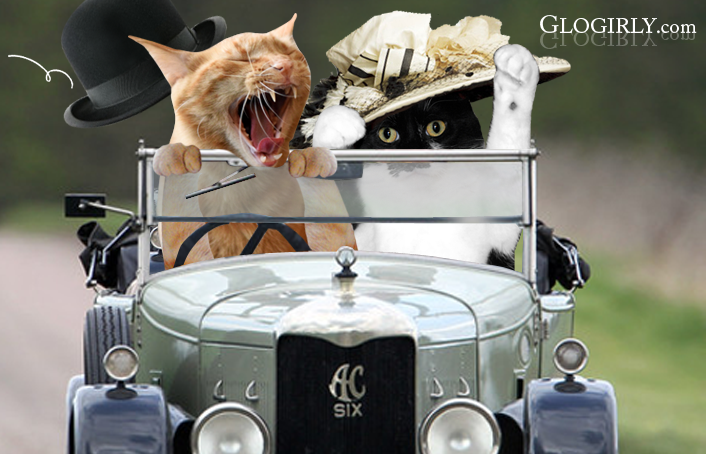 What do you get when you mix Downton Abbey, Petula Clark and CATS??? KATIE: If you're a regular visitor here, you're probably wondering why we're spoofing a TV show on a Tuesday as opposed to our regular Saturday Morning Feature. Well Glogirly got inspired when we were updating the graphics on our Facebook Page. She had Downton Abbey on the brain, and then there was the Seinfeld rerun where George couldn't remember why he was supposed to go Downtown... throw in a little Petula Clark ear worm and here we are. And you though Lord Waffles was the crazy one. I'm seriously starting to think I'm missing out on something special by not jumping on the Downton craze. This post just made my human's head explode! I mean, between Downton Abby, Petula Clark and Seinfeld, how could it not? 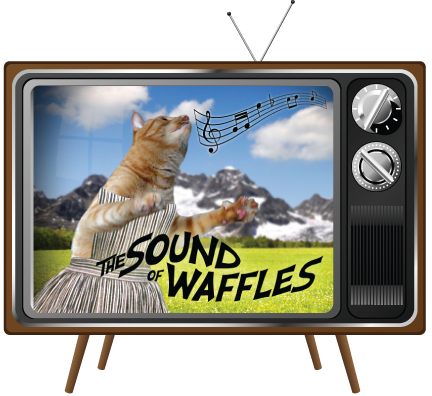 Just when I think I can't love you any more you become Lord Waffles and head to my favorite tv show! You are looking so handsome in your coat and tie! Put your paws back on the wheel! Lady Katie sounds so purrrfectly natural! Clearly, to the Manor you guys were born! MOL....now Mom has an earworm!!! Wooohoo this is on my post of the year for SURE!! MOL!!! Those connections make sense to us .... Glogirly must be taking a new vitamin. Wait, all of this Downton Abbey stuff aside... Katie, you let Waffles DRIVE? Excellent song! Mom sang it to us because she knows all Petula Clark's songs. Very cute post! This is my favorite one of your photos ever! I love Downton :) and of course I love you both too. Hmmmmm Weez not know this Downtown Abby everypawdy's talkin' 'bout. But y'all look gweat. Love those graphics. TW doesn’t watch TV but Downtown was one of the first 45s she bought as a kid. So seeing as you’re a resource for tv shows, can you recommend any other shows we may like? Hopefully they’ll star cats like Lady Katie and Lord Waffles also. Oh boy! This gives new meaning to royalty. OMC! Now I will have to put up with my mum singing all day thinking she's Petula Clark. MiLord and MiLady, have a blast! Katie darling..you look ravishing in that hat! BOL you have successfully passed the ear worm onto typist!